Capture your celebration_s moments with date and name of your love one. 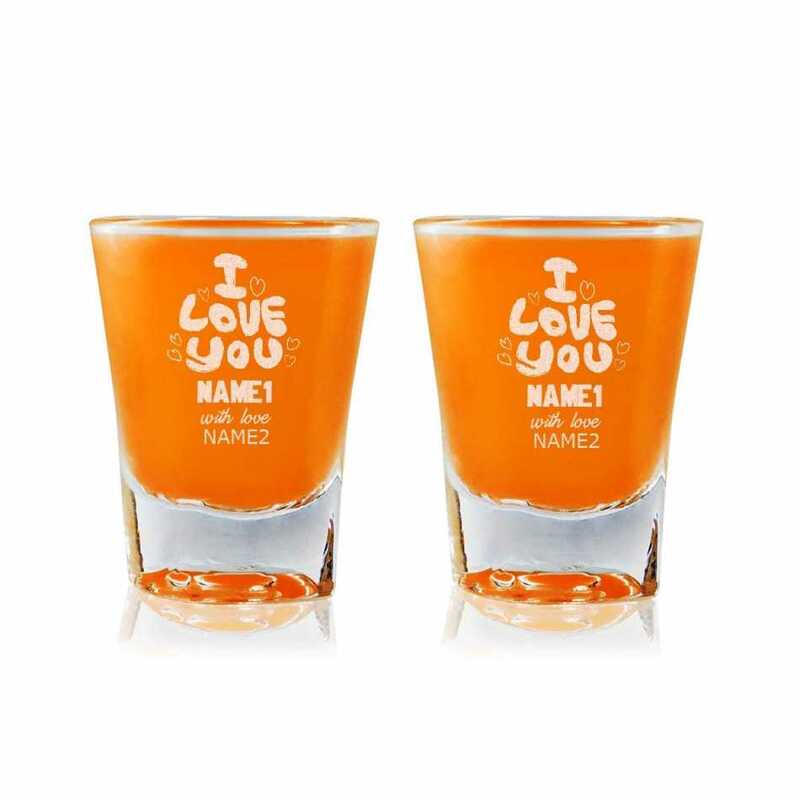 Enhanced with phrase _I love you_ and with your name on it, makes this shot glass a personalized one. Wishing husband on his birthday with this elegant looking shot glass will rejuvenate his love feelings for you. It comes in same quality as some shot glass should be. It is best for champagne, vodka and liquor drinks. Elegant, clean design. No fuss, nothing complex, but has a classic, flawless look and feel. Solid and heavy as any self-respecting shot glass should be. 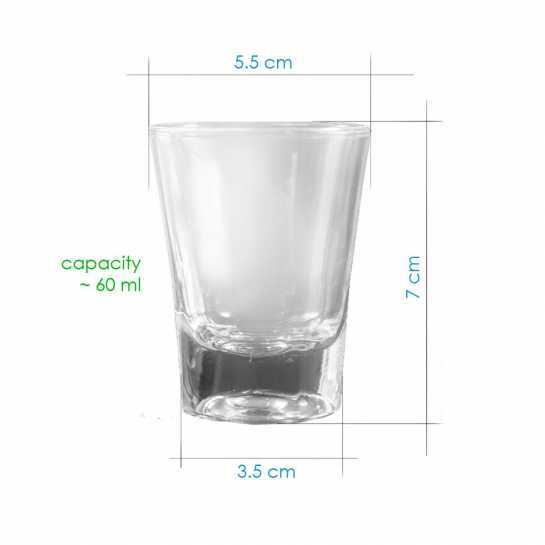 This is a set of 2 cool shot glasses. The glasses will be personalized as per the details provided by you. The product photo that you see, is a sample to indicate the 'design part' and the 'part that you can customize' . You can replace the sample initials, names or dates with your own desired text, and the glasses will have the design / style along with your personalized texts. The actual look of the product may vary slightly from the displayed product photo, however the engraving quality is quite good and the glasses are branded.